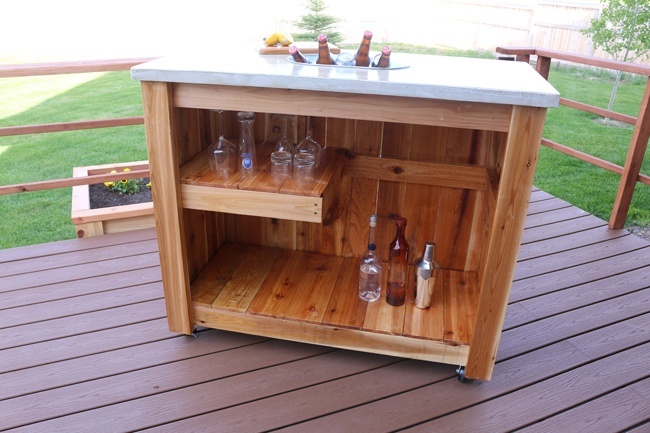 Need to make a bar for your patio? 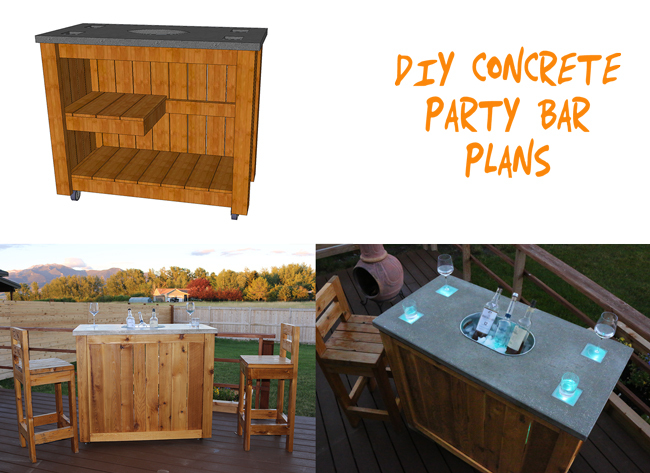 This concrete bar cart is easy to roll around, classy, and comes in handy for get togethers out on the patio! The bar is made of 2×4 boards and fence pickets. The top is made of concrete. Four clear coasters are embedded in the concrete and a drop in bucket goes in the center. 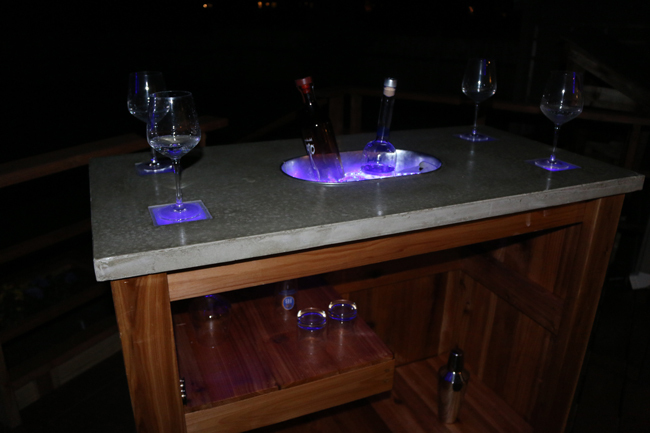 Optional LED lights can be strung underneath the clear coasters that will make your glass light up. 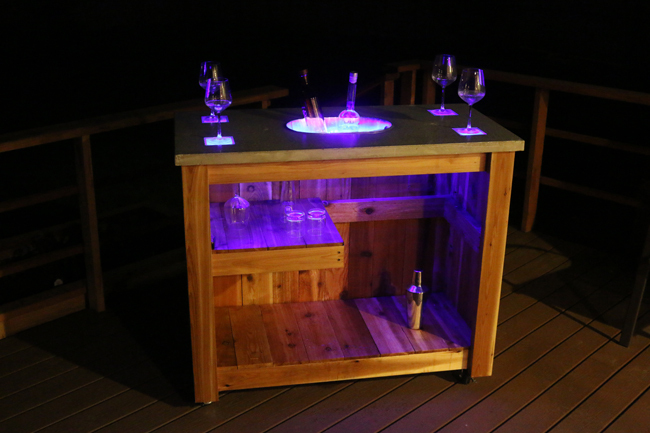 I did this project in collaboration with Ryobi Nation. 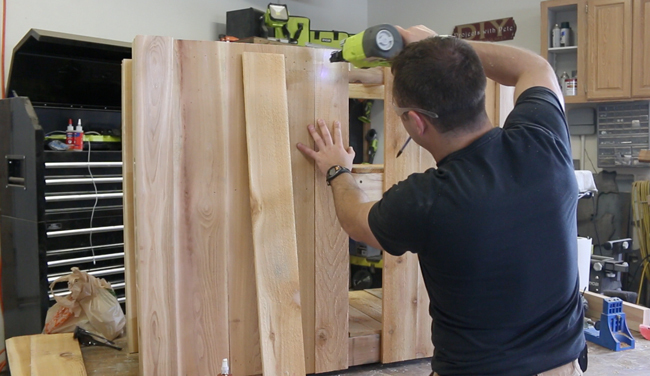 The complete and detailed tutorial will soon be available on Ryobi Nation by clicking here. (Until then, please check out the video and download the plans below. Click here or on the image below to download the free plans. LED strip lights will make your bar light up all night long. They can be strung underneath the clear acrylic coasters. The center ice cooler can be made out of a planter or bucket/tub. I used a metal tub from Target. I cut out a hole in the bottom and patched it with acrylic so light would shine through the ice and drinks. This project involves pouring a concrete top. 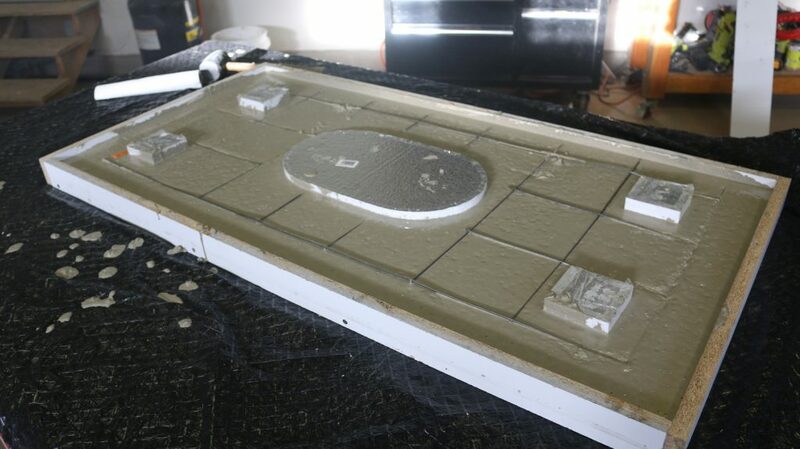 You'll make a mold for the concrete out of melamine wood. The knockouts are made of 1 1/2 inch foam. A base is constructed out of 2×4 boards and fence pickets. 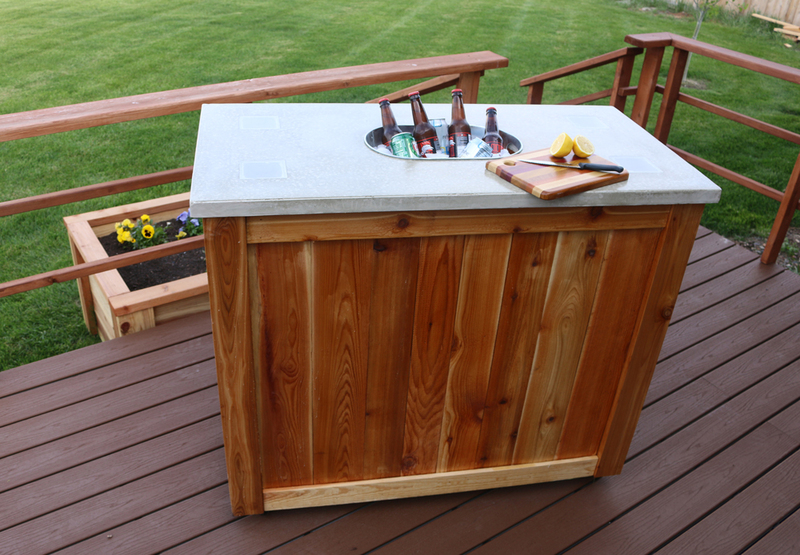 I used cedar because it does well holding up to the elements outdoors. Pine, fir, or other woods can be used to help bring costs down. Fence pickets are attached around the outside of the bar. 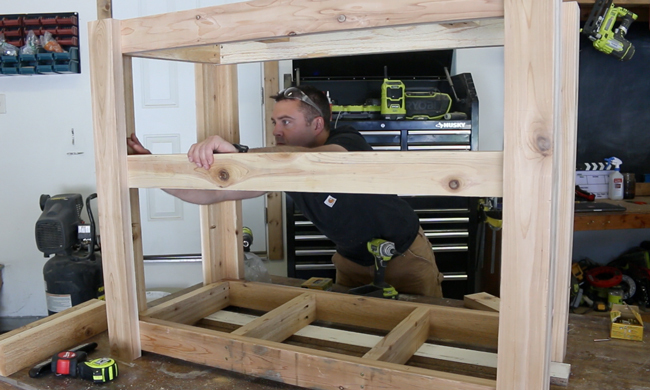 For the complete and detailed tutorial please head over to Ryobi Nation!